After talking to a friend last night, I started thinking about Brad Meldhau – i’ll come to him in a bit. My friend is professionally involved with students of ‘MA in Transdisciplinary Studies‘ or in the epistemological sense; the theory of knowledge from within the arts. It seems that a lot of classically trained musicians take the course – putting it simply; to further their research of experimentation, define and break out of the frames of their chosen passion and merge it with other disciplines and environments at an intellectual level. 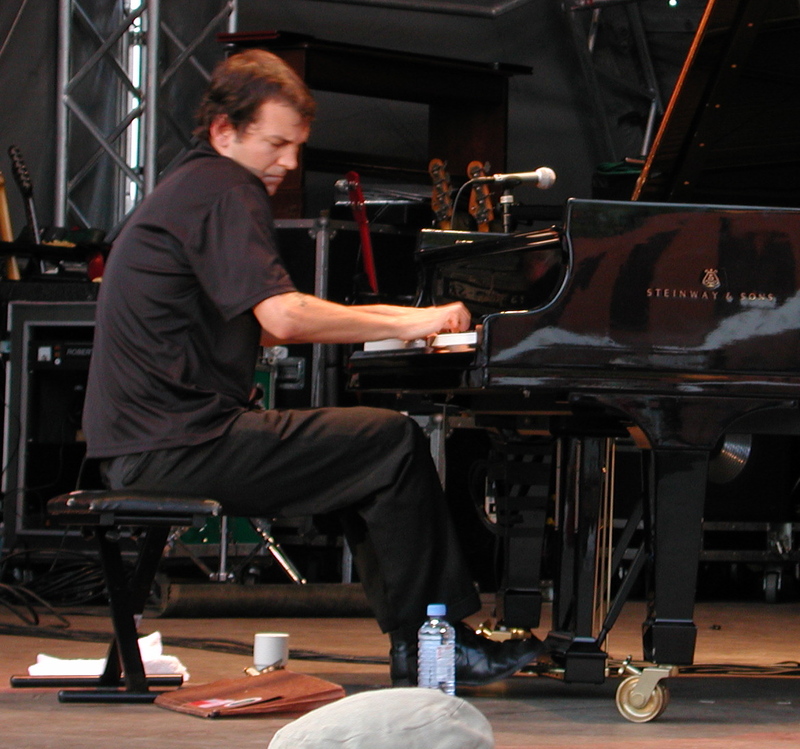 To cut a long conversation short, we meandered to the subject of the definition of what makes a good musician and that’s when I started thinking about Mr. Mehldau. He’s the one who composed that eerie Eyes Wide Shut soundtrack. He plays a weird kind of jazz – mixing his music as seamlessly as a sea’s hazy horizon merging with the sky. He throws it all his vast talent and musical knowledge together in cover versions like The Verves’ ‘Bittersweet Symphony‘, Nirvanas’ ‘Smells Like Teen Spirit‘, Bill Monroe’s ‘Waltz for J.B.’ , Radioheads’ ‘Exit Music‘ and Massive Attacks ‘Teardrop‘, the list goes on. He perfectly demonstrates that music is flowing – not a rigid form that always has to be pigeon-holed. He’s educated in classical music, is a jazz pianist – but has eclectic influences. When you watch him in action he gets lost in what he’s doing like a classical composer serenading admirers at court, but instead of the 18th Century garb, Brad Mehldau dons a Grateful Dead T-shirt and tattoos. Although you could argue that there isn’t a shimmer of relevance between the start of this post and the end of it. I like to think that this is also how transdisciplines can be connected; a honed free-fall of thought, connecting loosely to form something new or different. Give it up for a man who can do all this with two hands and still find time drop a bit of the Les Dawson-esque into his tunes. Sorry to any jazz connoisseurs – I am but a heathen. Here he is giving a full nine yards (55 minutes and 25 seconds) at the Vienne Festival.